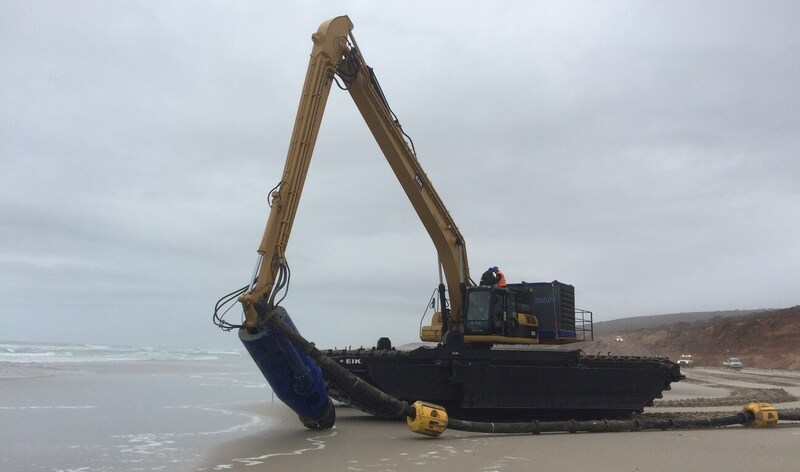 For a mining job in South Africa a DOP250 with cutter unit was shipped out, together with a diesel hydraulic power pack. 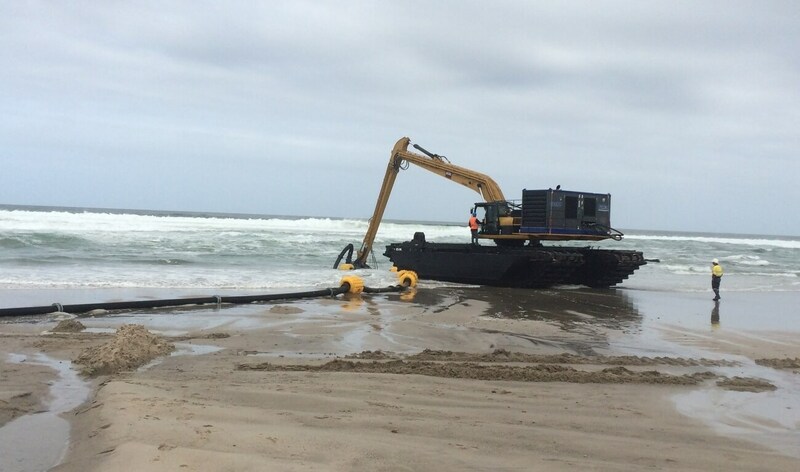 The power pack was mounted on the back of an amphibious excavator. 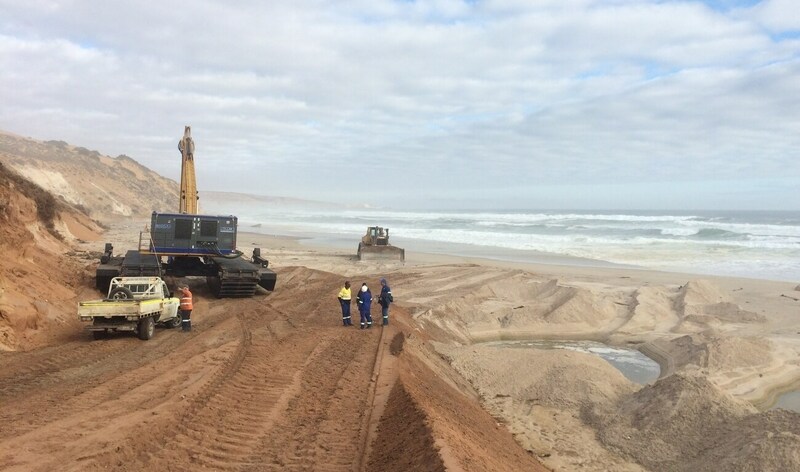 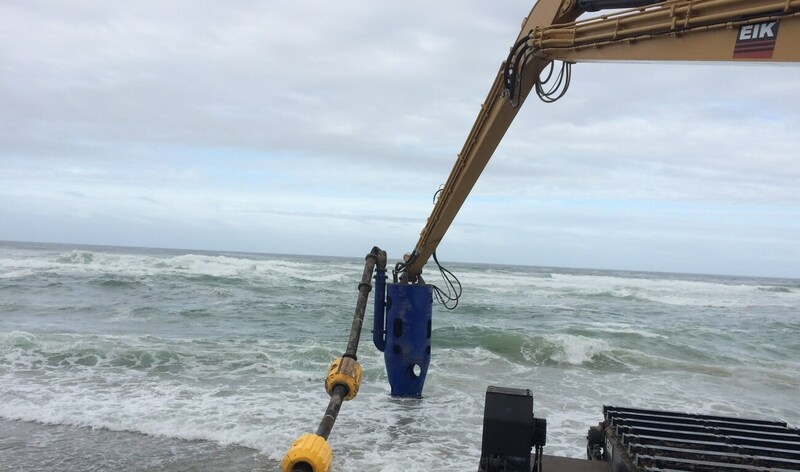 The DOP250 wat attached to the long reach crane boom, for mining heavy mineral sand in the South African surf zone.